Bernice Lum has been working on the wonderful 'Oliver Fibbs' series for Macmillan children's books, written by Steve Hartley. The eponymous hero is annoyed that his family are brilliant at everything and he is frankly not, so he embarks on some wild and fantastic adventures... but they just may have been fibs! 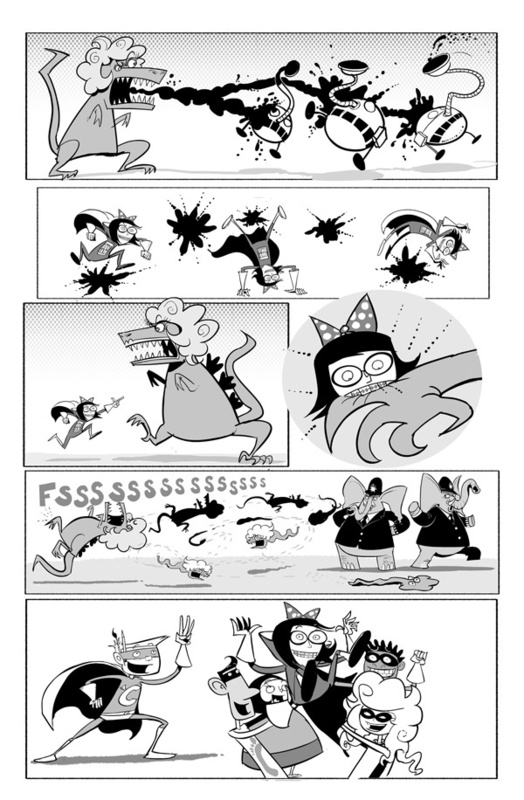 Bernice's bold graphic artwork is perfect for these zany stories and add a real sense of drama and fun. 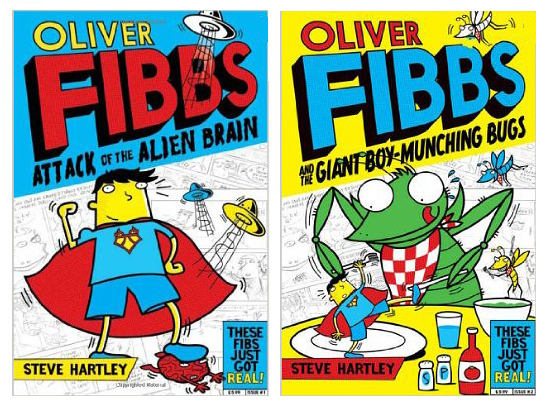 So get your copies of 'Attack of the Alien Brain' and 'The Giant Boy-Munching Bugs now! And word has it that there is a third book on the way, so stay tuned for more of Bernice's quirky illustrations! 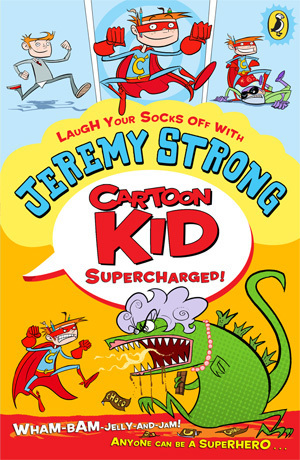 Steve May has illustrated the second instalment of Jeremy Strong's hilarious new series starring Casper and his alter ego, superhero Cartoon Kid. The books each have three stories, packed with illustrations on every page and at the end of every story there's a comic strip.